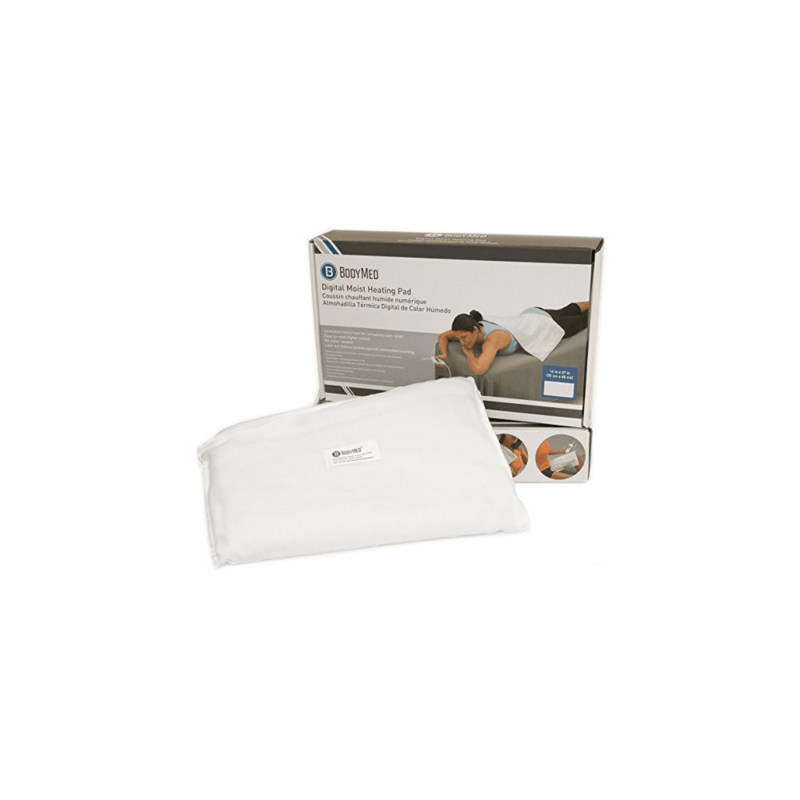 descriptionHeating pad for temporary pain relief associated with muscle strains and sprains, joint pain, and inflammation. Does not require water; it produces its own moisture using humidity in the air. Easy-to-read LCD controls allow user to set and monitor treatment temperature and time. Lockout feature guards against unintended touching of the controls during treatment. Includes heating pad, fleece cover and instruction manual. Maximum temperature setting is 166°. 3 sizes, sold separately.